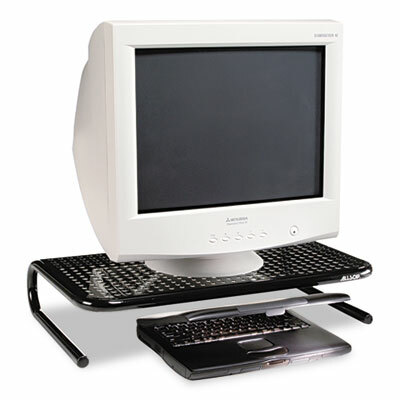 Raises monitor to a comfortable height, making typing and viewing easier on your back and neck. Wide surface supports up to 21" monitor or an ergonomic keyboard. Saves valuable desk space by storing keyboard or laptop beneath. Powder-coated black steel is sturdy, strong and goes with any decor.